While global incidence rates of HIV have declined notably in recent years, the virus that causes AIDS remains a major and, in some ways largely unmitigated, public health threat in some countries and regions. In a pair of new modeling studies, researchers at University of California San Diego School of Medicine, with international colleagues, examined how policy reform in terms of drug decriminalization (in Mexico) and access to drug treatment (in Russia) might affect two regions hard hit by the HIV pandemic: Tijuana, Mexico and the Russian cities of Omsk and Ekaterinburg. In the most recent study, published August 16 in the journal Lancet Public Health, first author Annick Borquez, PhD, and senior author Natasha K. Martin, DPhil, in the Division of Infectious Diseases and Global Public Health at UC San Diego School of Medicine, and their collaborators evaluated the impact of public health-oriented drug law reforms on HIV incidence among people who inject drugs in Tijuana, Mexico. In 2012, Mexico reformed its drug laws, decriminalizing possession of small amounts of specified drugs and instituting drug treatment instead of incarceration. However, implementation of the reforms has been uneven and limited. Borquez and colleagues looked at the specific impact of the reforms on HIV incidence among people who inject drugs in Tijuana, Mexico, a city adjacent to San Diego, California on the US-Mexico border and a major international drug trafficking route. Modeling estimated that the limited reform implementation due to a lack of reform dissemination and operationalization prevented only 2 percent of new HIV infections between 2012 and 2017. "But going forward, if implementation reduced incarceration among people who inject drugs by 80 percent and instead diverted these individuals to evidence-based opioid agonist drug treatment, 21 percent of new HIV infections among people who inject drugs could be prevented between 2018 and 2030," said Martin. The study also highlighted the potential harms of inappropriate implementation. "Unfortunately, the predominant type of drug 'rehabilitation' available in Tijuana is compulsory drug abstinence, which our modeling showed could potentially increase HIV transmission, underscoring the need for affordable evidence-based opioid agonist treatment which is effective at preventing HIV and other health harms," said co-author Steffanie Strathdee, PhD, Harold Simon Professor in the Department of Medicine at UC San Diego School of Medicine and associate dean of global health sciences. Said Borquez: "Monitoring and evaluation of public health-oriented drug law reforms is essential to inform their implementation at the local and global levels if we are to successfully guide this shift in drug policy." In the second study, published July 19 in Lancet HIV, first author Javier Cepeda, PhD, senior author Martin and colleagues employed epidemic modeling to determine the detrimental impact of Russian government policy prohibiting access to opiate agonist therapy, a key intervention used to prevent the risk of HIV and fatal overdose. The study also explored how the potential benefits of scaled-up opiate agonist therapy, needle/syringe programs and antiretroviral therapy (ART) might have on preventing new HIV infections and fatal overdoses among people who inject drugs in Russia. "Russia has one of the fastest growing HIV epidemics in the world. Data from the Joint United Nations Programme on HIV/AIDS estimates that 80 percent of new infections in Eastern Europe and central Asia occurred in Russia in 2015, fueled by injection drug use. And people who inject drugs in Russia have a very high risk of overdose," said Martin. "Opiate agonist therapy, which uses drugs like methadone to treat addiction and is highly effective at reducing the risk of HIV and overdose, is prohibited. Needle exchange programs are scarce and access to ART is very, very limited." The researchers found that without intervention, HIV prevalence among people who inject drugs in Omsk could increase to 34 percent by 2028 and remain even higher in Ekaterinburg at 61 percent. 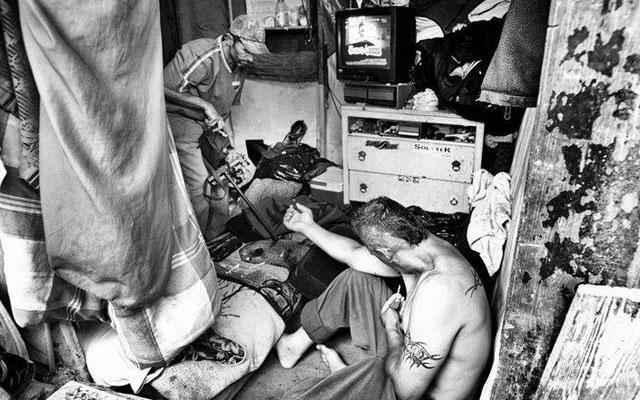 However, scaling up opiate agonist therapy and needle exchange programs to half of people who inject drugs and tripling ART recruitment (thus reaching approximately 65 percent of HIV-positive people who inject drugs) could prevent 53 percent of new HIV infections among people who inject drugs in Omsk and 38 percent of new HIV infections in Ekaterinburg by 2028. Additionally, these programs could prevent roughly 30 percent of fatal overdoses over this time period. "The data are unequivocal," said Martin. "Without intervention, modeling shows the burden of HIV among people who inject drugs in Russia will worsen, escalating in places like Omsk and remaining endemically high in places like Ekaterinburg. However, by implementing already known and proven interventions, HIV and overdose rates can be significantly reduced and many lives saved. The Russian government urgently needs to reverse its policies towards harm reduction access." These findings were also highlighted in a Lancet Commission report published July 19. Co-authors of the Lancet Public Health study are: Leo Beletsky, Daniela Abramovitz, Claudia Rafful, Mario Morales and Javier Cepeda, UC San Diego; Bohdan Nosyk, BC Centre for Excellence in HIV/AIDS and Simon Fraser University, Canada; Alejandro Madrazo, Centro de Investigacion y Docencia Economicas, Mexico; Dimitra Panagiotoglou and Emanuel Krebs, BC Centre for Excellence in HIV/AIDS, Vancouver; Peter Vickerman, University of Bristol, UK; Marie Claude Boily, Imperial College London, UK; and Nicholas Thomson, Johns Hopkins Bloomberg School of Public Health, Baltimore and University of Melbourne, Australia. Co-authors of the Lancet HIV study are: Leo A. Beletsky and Annick Borquez, UC San Diego; Ksenia Eritsyan, Alexandra Lyubimova and Veronika Odinokova, NGO Stellit, Saint Petersburg, Russia; Peter Vickerman and Matthew Hickman, University of Bristol, UK; Marina Shegay, Russian Health Care Foundation, Moscow; and Chris Beyrer, Northeastern University, Boston and Johns Hopkins Bloomberg School of Public Health.